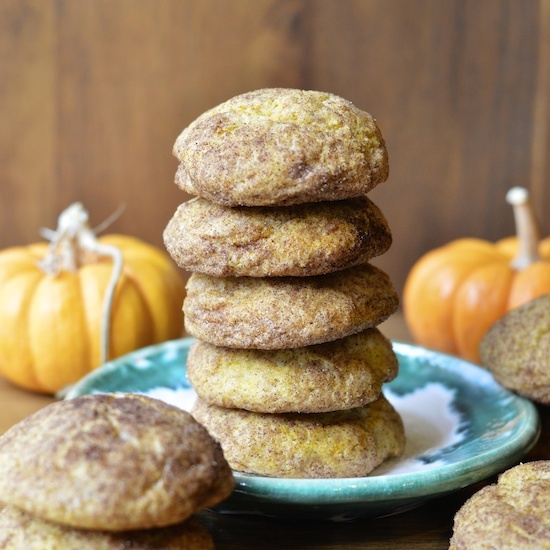 My fall recipes continue with these awesome pumpkin snickerdoodles. We finally have cool rainy weather in Southern California so it was time to whip out a can of pumpkin puree. I love these pumpkin snickerdoodles because they are thick and soft and have a beautiful yet subtle orange hue that make them pretty as heck! 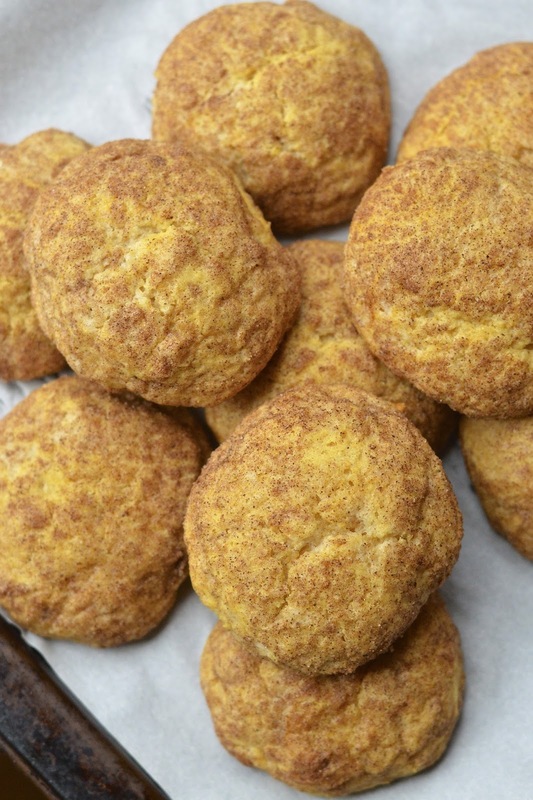 When I was researching recipes I noticed that all snickerdoodles, if properly made, include cream of tartar. Cream of tartar and baking soda are traditionally used for the recipe, in lieu of baking powder. 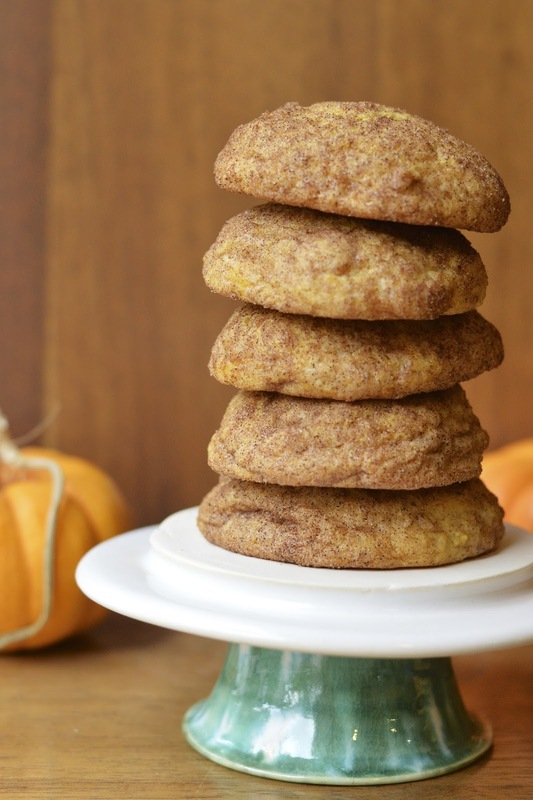 Essentially, cream of tartar imparts a unique tangy flavor to the cookie, which makes it a classic snickerdoodle. Who knew? 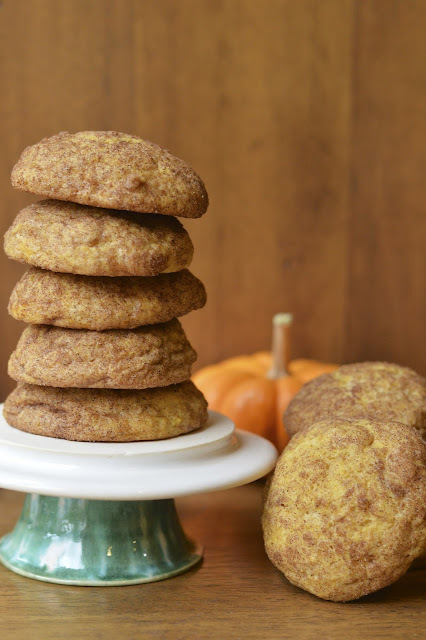 These were the perfect pumpkin snickerdoodles for my daughter's AP world history study group this past weekend. I knew they would need something sweet and fun to get through the pile of notes they were reviewing for this weeks test. I loaded all 24 cookies on the plate and kind of giggled thinking it was a ridiculous amount. Well, all but two got eaten and my daughter was really bummed we didn't have leftovers. Let's just say, be prepared, these cookies will go fast! 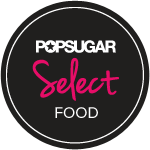 With an electric mixer, beat the sugar and butter until light and fluffy. Add the eggs and beat until fully mixed. 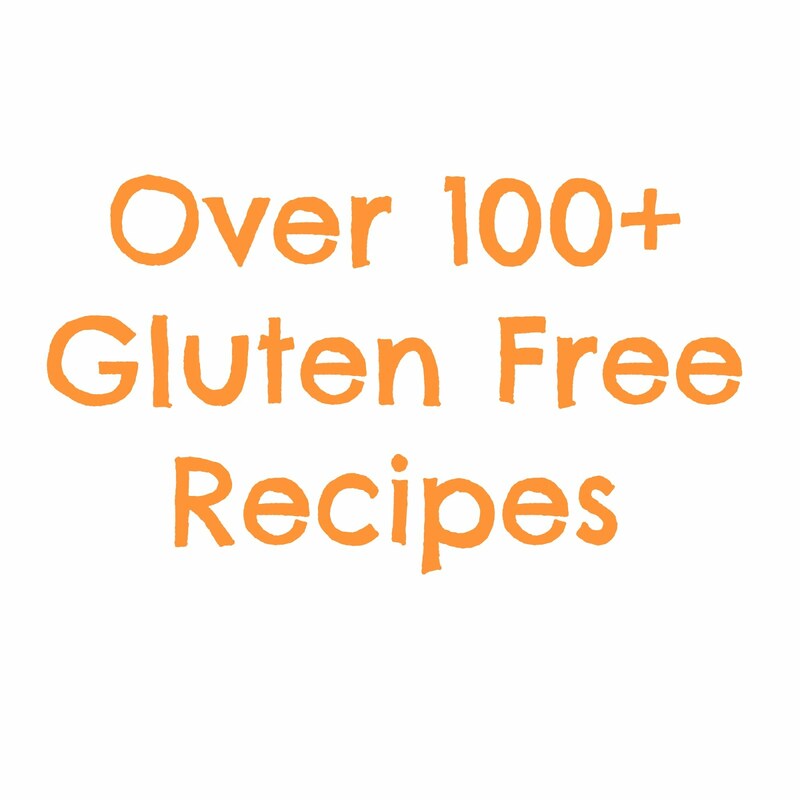 Mix in pumpkin puree. In a separate large bowl, sift together flour, cream of tartar, baking soda, 1 teaspoon pumpkin pie spice and salt. Combine the wet ingredients into the dry and mix until all of the ingredients are incorporated together scraping down the sides occasionally. Divide dough in half and place each half in a bowl, cover with plastic wrap and chill for 1 hour (dough should be slightly sticky so the cinnamon sugar will stick when rolling but they should be manageable to roll in the palms of your hands, you will get a little messy!). Preheat oven to 350°F during the last 10 minutes of refrigeration. In a small bowl combine 1/4 cup sugar with 1teaspoon ground cinnamon and remaining 1 teaspoon of pumpkin pie spice. Measure 2 tablespoons cookie dough and use your hands to roll it into a ball. Roll the ball around in the spice and sugar mixture. Place the balls of cookie dough on parchment paper lined baking sheets. Bake for about 15 minutes. Allow the cookies to cool on the baking sheet for about 10 minutes before transferring them to a wire rack to cool completely. Store leftovers in an air-tight container.